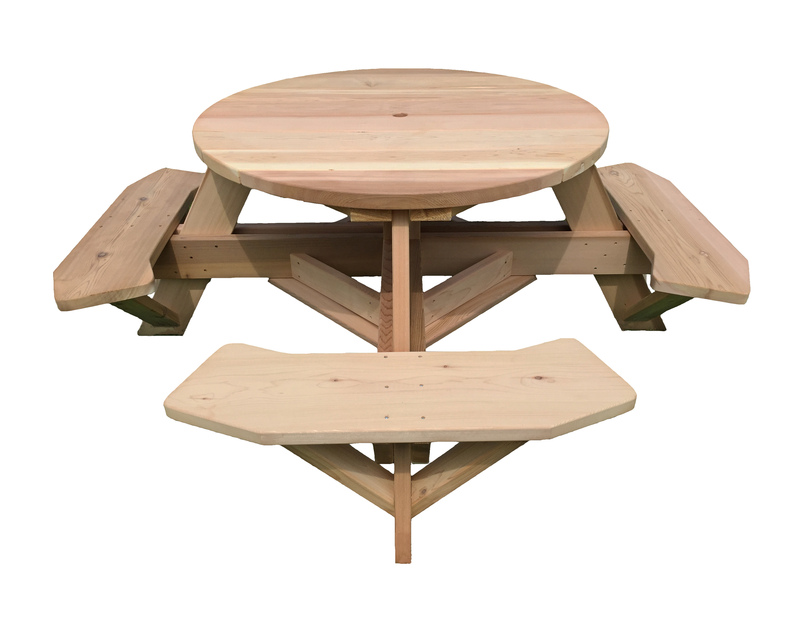 Our 45 inch round wooden patio table with attached benches is a best seller for a reason – it offers unparalleled accessibility! 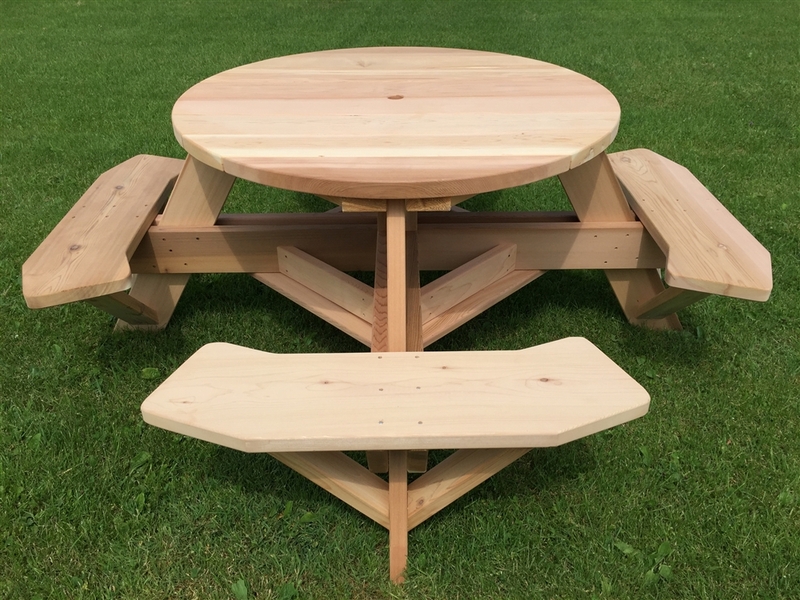 We’ve purposefully crafted this wooden round picnic table with comfy benches so that it will be easy on both your eyes and your behind! Although we did cut the corners off this particular table top, Dan’s Outdoor Furniture never cuts corners in design and assembly, and provides easy seating in most backyard tables. Our tables are sturdy, long-lasting and will provide comfortable and reliable seating wherever you need it and for years to come. Whether you’re a home owner looking for the perfect backyard seating solution or you’re a heavily-trafficked business, this table was designed with you in mind. Includes FREE SHIPPING! Get Yours NOW!